Dalry is home to a primary school, with quite stunning and creative architecture. 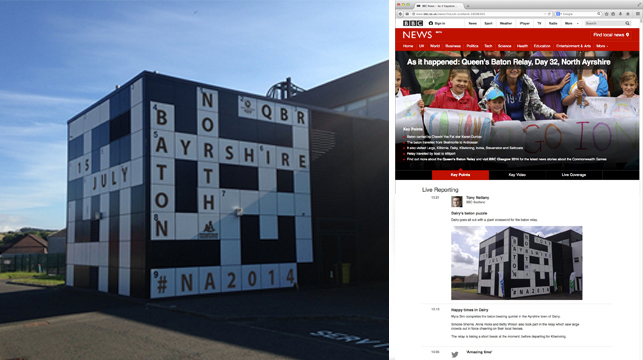 The arrival of the Queen’s Baton Relay was an opportunity too good to miss, so the crossword has been filled in! We were delighted to get a mention on BBC’s live news feed for the QBR.